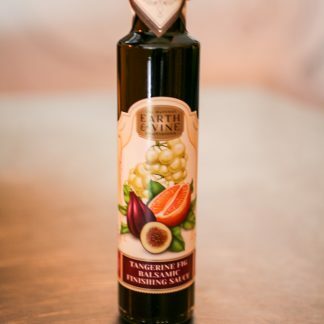 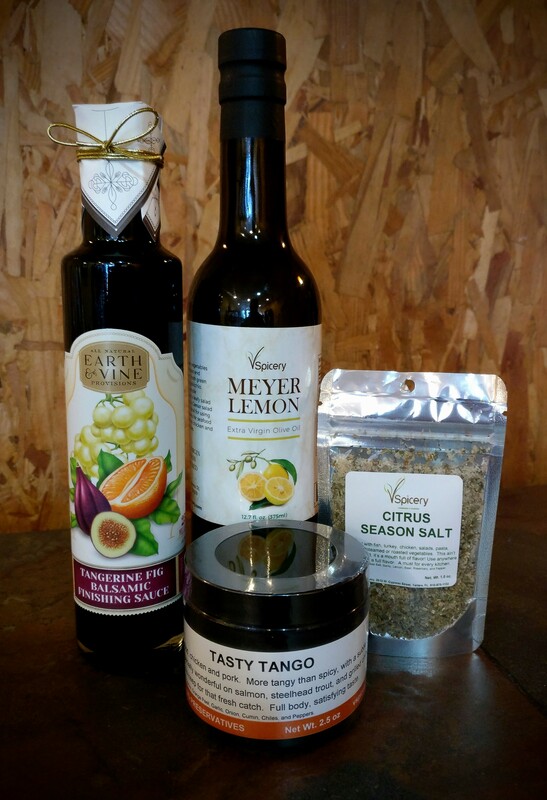 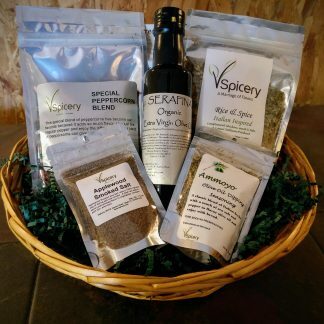 This basket includes: Meyer Lemon Olive Oil, Tangerine Fig Vinegar, Tasty Tango Seasoning Blend, and Citrus Salt. 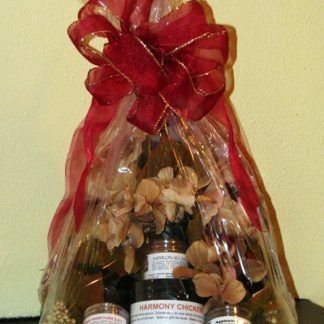 This citrus inspired gift basket has a wonderful sampling of our favorite citrus flavors available in our shop. 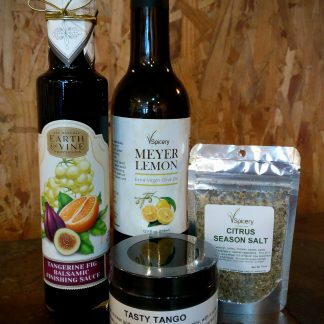 This basket includes: Meyer Lemon Olive Oil, Tangerine Fig Vinegar, Tasty Tango Seasoning Blend, and Citrus Salt.